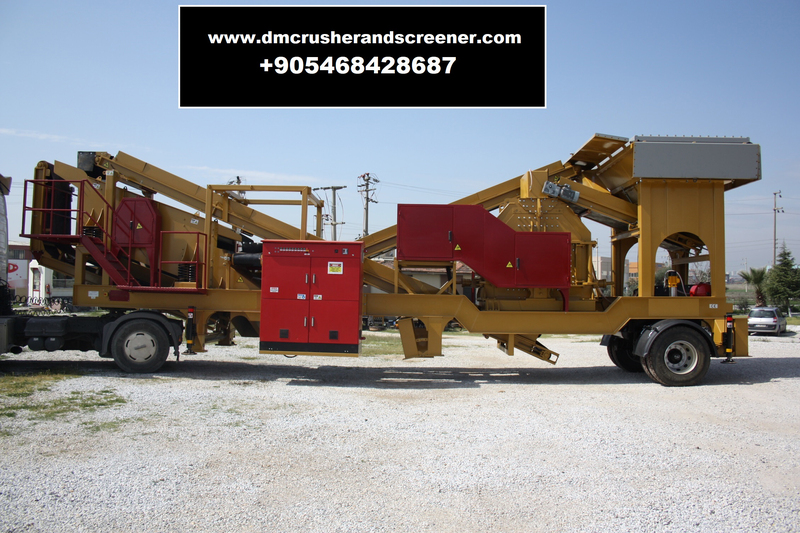 Closed circuit crushing system is all collected in one single platform and can be transported with a truck. The R-D group has designed this series for short term installation . This crushers can easily do the work of classical plants . DM Series refers to a crushing /screening closed-circuit plant on one chassis. Offers unsurpassed production of cubical spec products for small, medium, or large jobs. Produces multiple, cubical spec products with three-deck inclined screen. Returns material retained on the top deck to the impactor for further processing. This machines are the most prefered in Turkish market and the World market . It is 600 mm wide and is of palette type. Drive drums are rubber coated and threaded. The gear units are 3 transmission type and the new generation is with torque connection system. Side scraper system is available to prevent outflow. Capacity is variable according to the material feed and final product dimensions to be broken and it is 60-100 ton capacity.